Acceptable, respectable, presentable… a vegetable?! How a Beatle-approved existential pop-rock masterpiece turned its creators into unlikely transatlantic superstars. In 1979, Paul McCartney was asked to name his favourite song of the year. He chose The Logical Song by Supertramp. And in The Logical Song, Hodgson drew on the experiences of his own troubled childhood to create an existentialist pop-rock classic in which he addressed the biggest question of all: the meaning of life. Due to Hodgson’s perfectionism, it took two weeks for the final mix of the song to be completed. “I wouldn’t rest until it was absolutely right,” he says. However, the end justified the means. 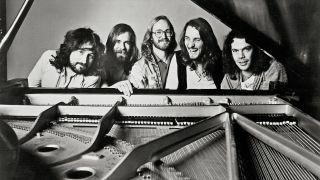 Released in the summer of 1979, The Logical Song was acclaimed by Rolling Stone as “a small masterpiece”, and its success turned Supertramp into superstars.